Running a business is a fulfilling and rewarding job. It will allow you to prosper beyond your imagination and help you become increasingly financially independent. That’s why you should always aspire to make your business a success. For this to happen, your business, whether a start-up venture or a longstanding company, should be managed appropriately by you. You should always keep your ears on the ground and be informed of the comings and goings of your business. But, of course, you can’t do it all by yourself. Running a business takes determination, commitment and dedication. But, more important than these, you need a helping hand and another set of fresh eyes to help you in the day-to-day operations. You must be smart enough to hire outside help to assist in the business operations. You should enlist competent people to help you manage and grow your business. One of the people you need to hire is a bookkeeper. He or she can surely make your life easier. A bookkeeper is a licensed professional whose main task is record-keeping or bookkeeping. Bookkeeping is an accounting process in business that allows for the monitoring and recording of all financial transactions, purchases, sales, receipts, and payments. A bookkeeper will pay close attention to your day-to-day operations to track assets, expenses and cash flows. They perform checks and balances to make sure that your business is always profiting and maximising its resources. Their tasks also involve preparing various source documents for all transactions made during operational hours. Bookkeeping always has a way of keeping you on top of your game since it can monitor the cash flow of your business. It means that you can manage your finances better and know immediately if your company is on the right track. Taxes can haunt your business if you have not organised your ledgers and balance sheets when you near the tax season. A bookkeeper will be able to help you keep track of every document and all information so that you can complete your annual taxes without a hitch. You don’t have to always worry about your next course of action. Bookkeeping allows you to do a detailed market analysis that can help outline your future business strategy and marketing plan every time you need to. 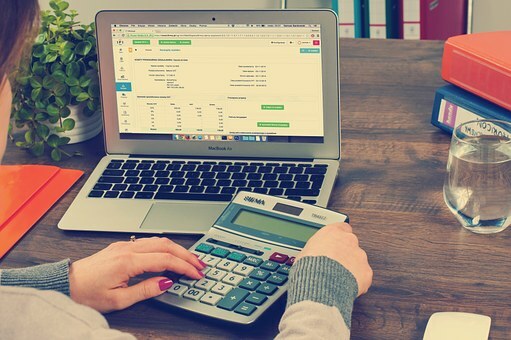 Bookkeepers are meticulous when it comes to recording and organising your documents, so you don’t have to worry about losing critical financial data because it is sure to be found in the accounts. Trying to make your business successful is no small feat. Being a small business owner comes with its own challenges. But, you can surely make it easier by hiring bookkeeping services. Doing this would go a long way toward helping you grow your business faster.